One person has died and 164 have been made sick in an outbreak of salmonella linked to raw turkey, the Centers for Disease Control and Prevention said Thursday. The outbreak has been going on for a year now, and 63 people have been hospitalized, the CDC said. The person who died was in California. “The outbreak strain of Salmonella Reading has been identified in various raw turkey products, including ground turkey and turkey patties,” the CDC said. 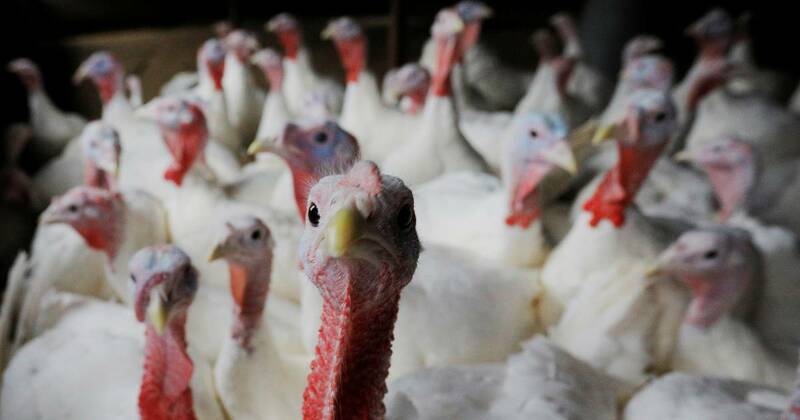 So far, the CDC has found the same bacteria responsible for the outbreak at 22 slaughterhouses and seven turkey processing facilities. Cooking turkey thoroughly will destroy salmonella and other foodborne germs, the CDC advises. On Thursday, the CDC tweeted a warning for families planning Thanksgiving Day dinner. There’s also an ongoing investigation of a different strain of salmonella linked to raw chicken products. In addition, Duncan Hines has recalled some cake mixes because of potential salmonella contamination that has made five people sick. In 2011 an outbreak of a different strain of salmonella linked to ground turkey made 129 people sick and killed one. Salmonella is a very common cause of food poisoning. Every year, it makes about 1.2 million people sick, puts 23,000 into the hospital and kills 450 people in the U.S.
Did ‘Westworld’ Subtly Tease That Baby Theory? May 21, 2018 Comments Off on Did ‘Westworld’ Subtly Tease That Baby Theory?